Conrad and Yolanda Bulley of MIllinocket say their two-hole Frog Pond outhouse is an original, it’s attractive, comfortable and easy to maintain. The Dutch door eliminates the need for a window and provides plenty of light. The green stain, the style and variety of frog accessories, make for a pleasant visual experience. Regular lime treatments and multiple fine potpourri offerings, coupled with a discreet ventilation system provide enjoyable olfactory use in the facility. And facility is a never-needs-to-be-emptied comfort station. The hole was excavated by a backhoe and was 6 feet deep so don’t fall in, they advise. On top of all that, the Frog Pond has one of the best cell phone reception signals in the area of Ambajejus Lake. 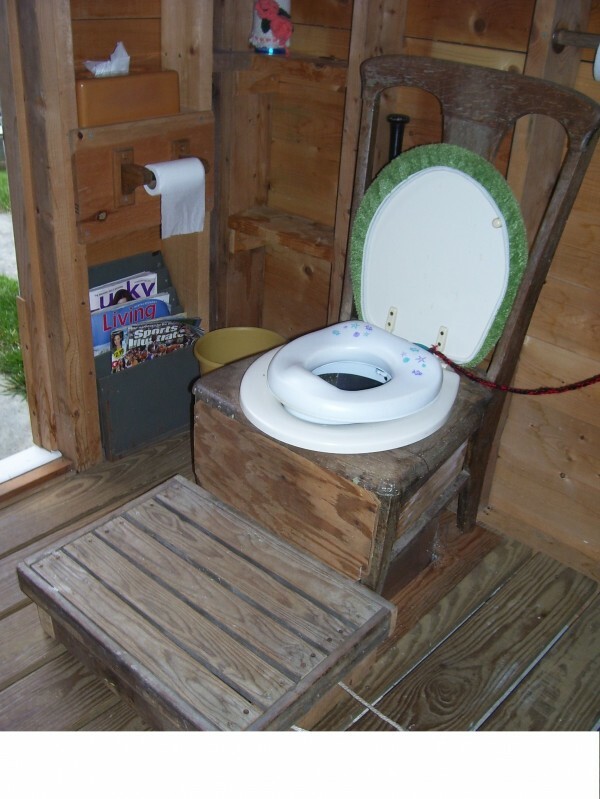 This outhouse at Cedar Lake is complete with an antique throne. And, it has a potty chair insert for the grandchildren. The Bilodeaus took an antique chair, removed the leather insert, and replace it with a toilet seat. We asked you to lend us your shabby, your quaint, your upscale and your quirky. 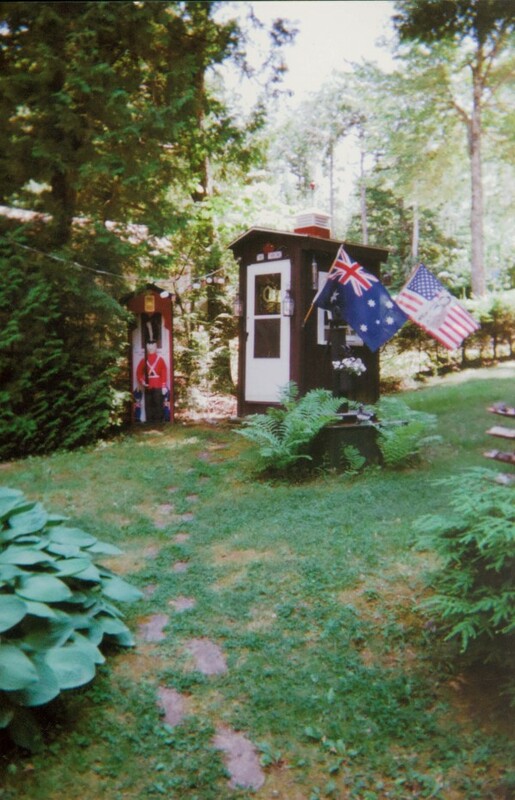 If you had an outhouse in Maine, we wanted to hear all about it — and to see your photos. 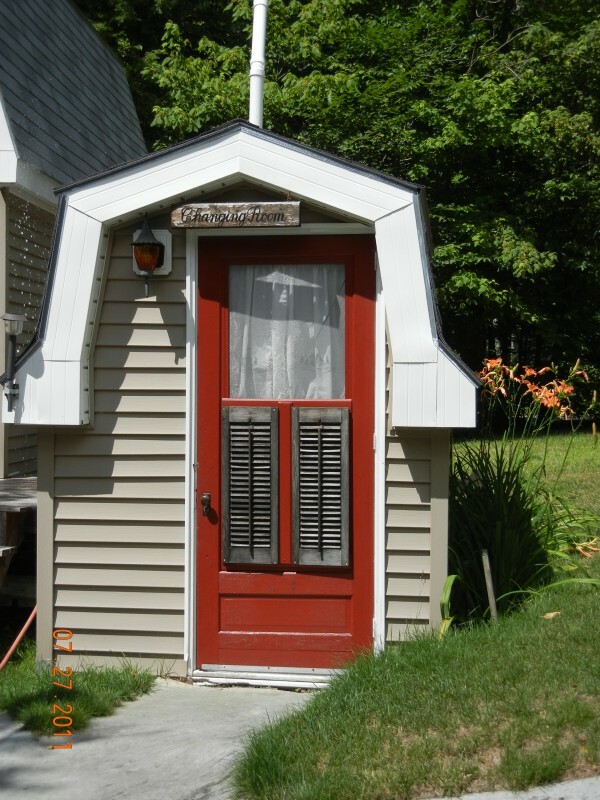 It was, to be sure, one of this newspaper’s most off-beat promotions to date: The 2011 Bangor Daily News Original Outhouse Contest. 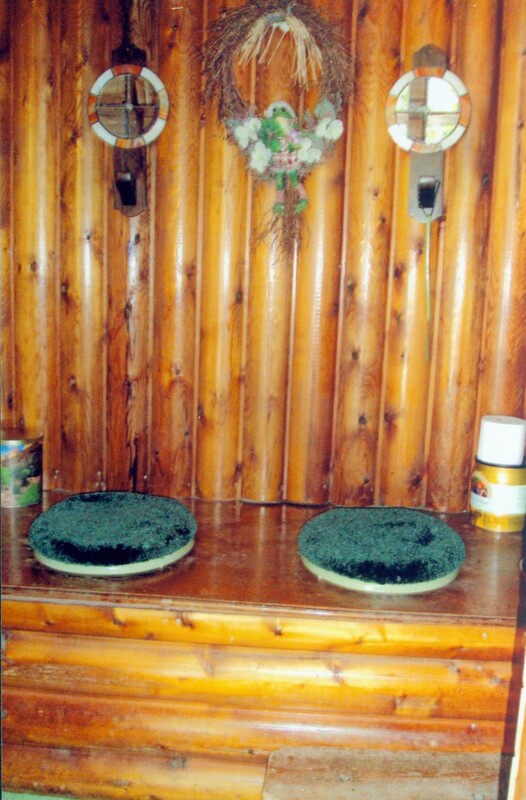 In all, about 80 of you submitted nearly 250 photos of your personal comfort stations, all in pursuit of a handsome trophy, an assortment of gift sets from Poo Pourri bathroom sprays and, of course, bragging rights that will last forever… or at least until you decide to opt for indoor plumbing. 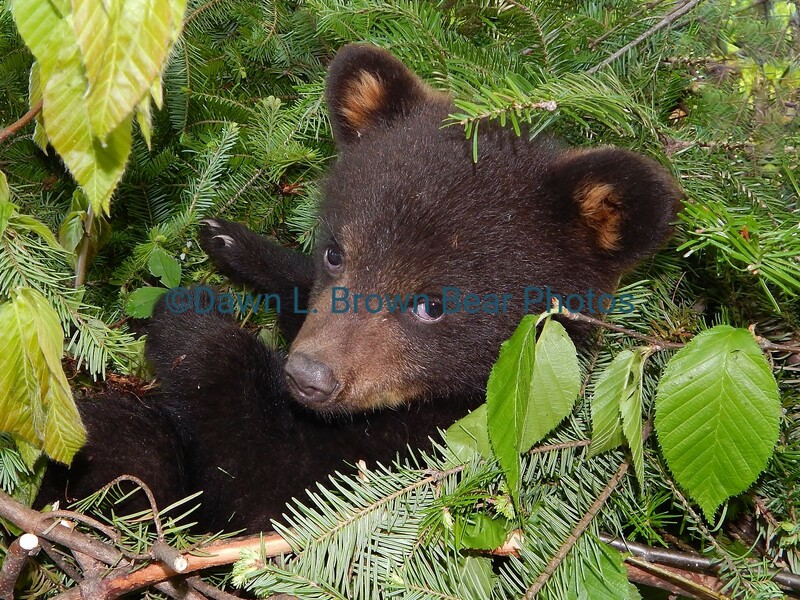 Thanks to all who entered, and special thanks to our sponsors, Whitten’s 2-Way Service Inc. of Brewer and 304 Stillwater Avenue Furniture of Bangor. If you’re looking for the top outhouse in Maine (as chosen by our astute panel of judges, each of whom has surely qualified as an expert outhouse evaluator), you’ve got to head toward Millinocket, where you’ll find our first prize winners, Conrad and Yolanda Bulley. The Bulleys are bully about frogs, and their two-holer, dubbed “Frog Pond” and located at Ambajejus Lake, topped an impressive group of challengers. 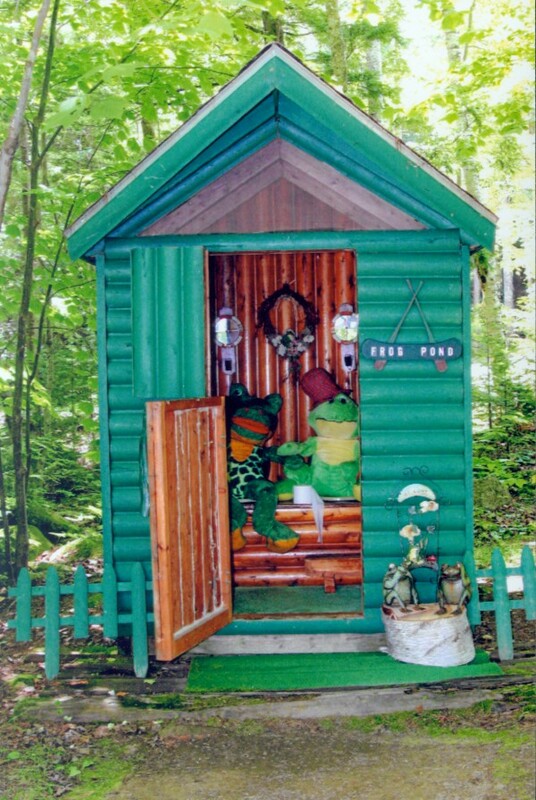 The Bulleys say their frog-themed outhouse is original, attractive and easy to maintain. A Dutch door eliminates the need for a window, and green stain and plenty of frog accessories certainly caught our judges’ eyes. Just be careful: The hole was excavated by a backhoe and is six feet deep. The Bulleys advise visitors to avoid falling in. We didn’t set out to crown an outhouse capital of Maine, but it seems that we have: Our second-place winner is also from Millinocket. Dianne Bilodeau’s entry features a throne that is fashioned from an antique chair that was retrofitted by removing the leather seat and adding a toilet seat. The grandchildren are accommodated with a potty chair insert. And the handsome exterior of “The Comfort Room” was certainly among the most impressive in a stellar field of entries. 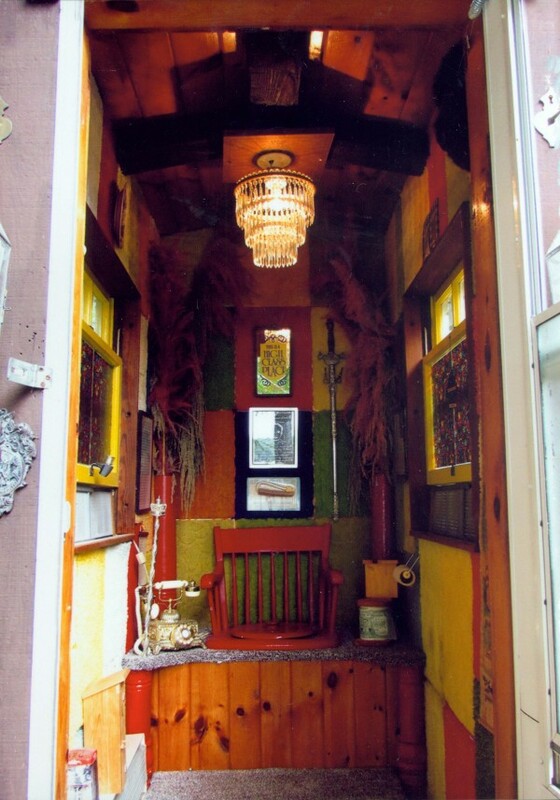 Our third-place winner, Raymond Fournier of Otis, entered an outhouse that he designed to be a classic. He used an antique potty chair, draped dried flowers from columns and has a scepter mounted within reach of — you guessed it — the throne. Add in French boudoir working telephones and toilet paper that looks like $100 bills, and you’re talking real class. Add in stained-glass windows, electric baseboard heating and crystal chandelier, and you can see why our judges honored this fine outhouse. Earning honorable-mention status (in no particular order): Gretchen Mourtgos of West Valley City, Utah, who has an outhouse in the Maine town of Charlotte; Bruce and Linda Gothrow of Bangor; Linda Alley of Bucksport; Richard E. Faust of Surry; Bob Lee of Bangor; Walter Whitney of Hampden; and Quentin Young of Sedgwick.